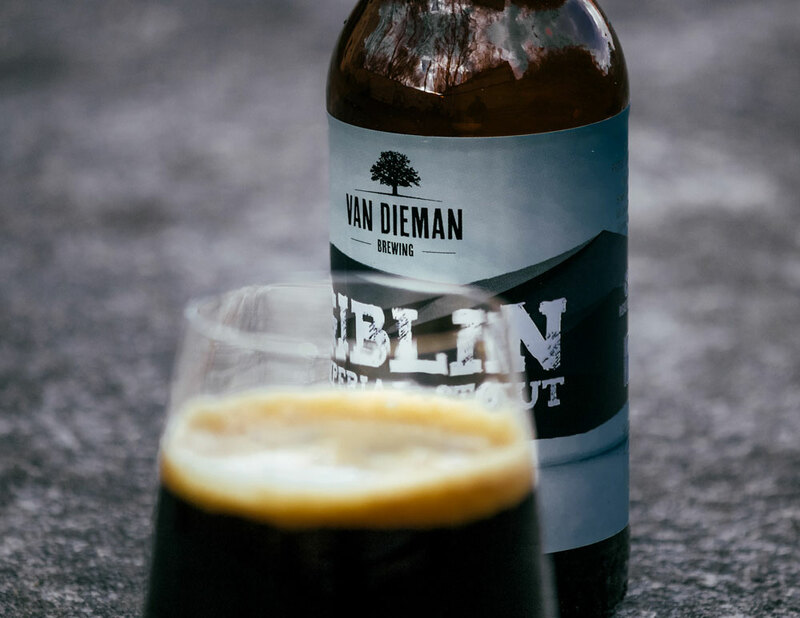 The rapid rise in popularity of Instagram over the past couple of years has seen many people take their love of craft beer social via the medium of photography. For most, it's a case of snapping whatever's in front of them and sharing. For some, effort goes into setting up the shots: obscure angles; mood lighting; toy figures. For all, there's an element of showing off. For The Beer Drinkers, it's an art form, with their beer photography forming the basis of possibly the sexiest beer blog in Australia as well as their Instagram feed. 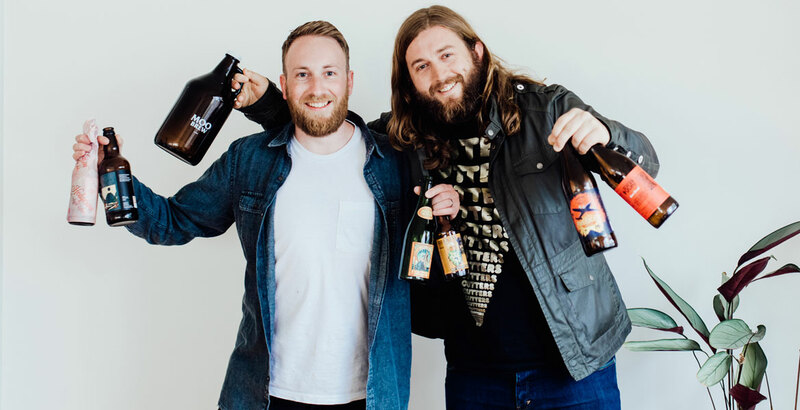 They are two mates living in Tasmania and Victoria and we asked them to become the latest Crafty Pint Beer Nuts. Andrew: Graphic design pays the bills, but I’m hoping to follow my passion into the craft beer industry soon. A: I’m definitely a beer snob, I won’t settle for second best, I’d rather go without than drink commercial rubbish. J: I remember getting a Moo Brew Pale back in the day and thinking, ‘Wow, this tastes like flowers’. Obviously those were hops I was tasting for the first time and it blew me away. Followed it up with a Little Creatures Pale and I was hooked. Andrew and our mate Johnrey would then mission around Melbourne trying to hunt out and try as many different craft beers as we could. From lengthy bottleshop visits to checking out different pubs and bars. It was the best fun. It’s actually still one of the things I like the most about craft beer. Trying all the great new beers and styles that come out. A: I’d say about five or six years. Moo Brew was probably my first taste of craft beer as well, when they started in Hobart in the mid 2000s. It probably wasn’t until about 2009 that I became hooked, thanks to trips over to Melbourne catching up with Jeremy and another mate Johnrey, as Jeremy mentioned. We’d hit up Mountain Goat in Richmond, Little Creatures Dining Hall in Brunswick Street, and every other bar that we could find new craft beers to sample. A: It all started with Jeremy and I texting each other photos of what beers we were drinking. This probably went on for a year or so before we switched to Instagram in late 2012, sharing our craft habits with anyone else who wanted to join us. Nearly three years on and almost a thousand posts later, we still enjoy sharing our love of craft beer. It’s been great to watch the Australian craft industry grow with so many new breweries, bars and bottlshops popping up all over the country in the last few years. J: We started The Beer Drinkers as a bit of fun to document all the awesome craft beers we were trying back in 2012. As Andrew mentioned, we’d previously just been sending each other pics of the different craft beers we had found and drank. J: Probably the time I thought this has gone too far was when one of my dodgy old school bottle openers shattered the top completely off an expensive bottle of Amager Bryghus DIPA. No way I was letting it go to waste though! Pulled out some cheese cloth and sieved the beer, (hopefully) collecting all the broken glass which had fallen into the bottle. Still wasn’t sure if I had managed to get all the glass out but drank it anyway. Managed somehow to slice my hand open in the process too. Seemed a little bit desperate, haha! A: Probably putting on nearly every bit of clothing in my carry-on bag, so I could bring a bunch of La Sirene beers back on a flight to Hobart – I just made it under the weight limit. The ridiculous amount of time I’ve spent photographing beers, getting the right setting, light and angle. Riding down to the Hobart docks at 5am to shoot a beer as the sun came up, before heading to work. A: As I mentioned earlier we’ve been sharing our craft habits with anyone else who wants to join us on Instagram for the last three years and on Facebook. We also post feature stories on our blog, when we find the time. J: As Andrew mentioned through our Instagram and Facebook accounts. Love looking back over them and remembering when and where we had certain beers. Cantillon Gueuze 100% Lambic Bio – a mate introduced me to this. I always keep an eye out for it. Stone Enjoy By IPA – After hearing so much about the american craft beer scene over the years it was an eye opener to try something so fresh from the states. KAIJU! Metamorphosis IPA – This would be one of my favourite IPAs. I’m a huge fan of IPAs and I think this beer is everything I love about the style. Feral’s Watermelon Warhead – I’ve loved this beer for so long now and I still amazes me each time I have it. BrewCult Beer Geek Rage Quit Indian Pale Lager – Such a clever beer. Moon Dog Bad Boy Bubbly – Really appreciate the concept behind this one. Lots from the Garage Project boys – Cherry Popper, VPA, Sea of Green to name a few. 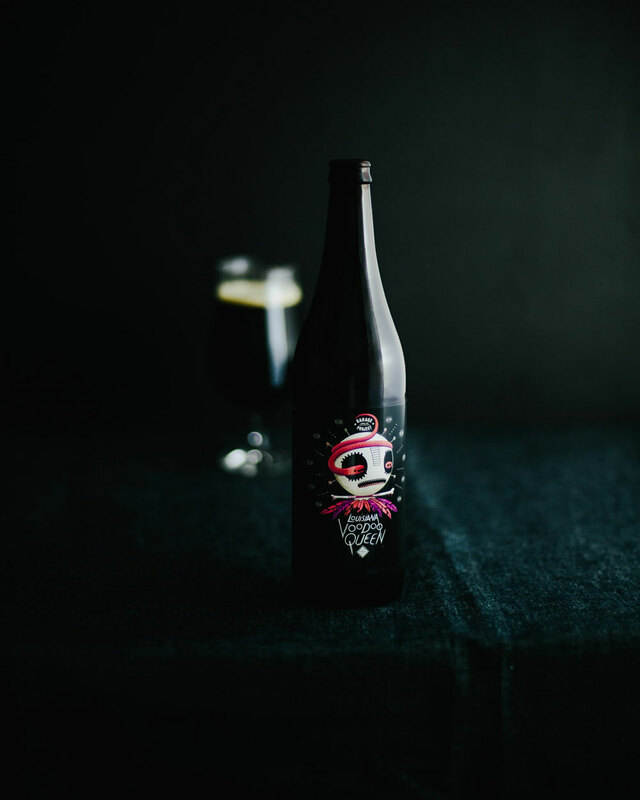 A: Garage Project from Wellington, NZ, are constantly blowing our minds with stunningly flawless beers. Those lads are so creative, they’ll put just about anything in a beer and it always turns out to be superb. I was chatting to Jos Ruffell (Garage Project brewer) at GABS and was really surprised to learn that they don’t even do pilot batches of these ingenious brews! One particular beer that blew me away recently was a 2011 bottle of Moo Brew Imperial Stout, it had aged so well! So many rich characters and flavours coming through and smooth as… Pretty much liquid gold as far as I’m concerned! J: Hmmm… nothing really comes to mind as a worst. However one thing I hate is poor handling. Nothing worse than having to tip a great beer down the drain because it’s been stored too hot, in the sun or is way past its best before and sold anyway. A: I’ve had my fair share of bad beers over the years but, as Jeremy said, it’s quite often down to quality issues that are outside of the brewery’s control. 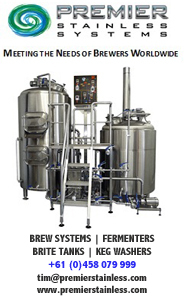 Once the beer leaves the brewery there’s no way of controlling how that beer is stored or how long before the customer drinks it. I still can’t believe how many craft bottleshops store their beers unrefrigerated or in direct sunlight, seems crazy to me? Not to mention bars/pubs that keep their kegs unrefrigerated and then wonder why their beers don’t pour properly or often don’t taste how they should. A: Not that many actually. I have a much loved Moo Brew hoodie though (thanks, Dave), that I’ve pretty much worn out now. J: Maybe around the 30 mark. One of my favourite things is a set of glasses my wife got me. They look brilliant and drink amazingly. I use them in lots of my shots, haha. I've a few I purchased from Denmark, also some CRAFTD. and a couple of Spiegelau ones too. A: Too many! I have a huge cupboard full of beer glasses of all different shapes and sizes that I’ve collected over the years, most of which I don’t use (I pretty much stick to my favourites). Some of my favourite glasses have been acquired from op shops: there’s always so many different and interesting glasses in those places. I recently picked a some awesome tulip glasses at Vinnies for $1 each; you’ll notice them in some of my recent Instagram posts. I keep all my used longnecks for homebrewing, leaving the labels on the bottles. I guess they are kind of a shrine to beers of the past, most of them being Garage Project or Mountain Goat Rare Breeds. J: Our home office has now been converted into a "beer shooting studio" haha. Well, half of it anyway. It get's pretty tight in there now. J: Wow… Far too many. I’d hate to add it up. It would be hilarious though. A: A lot. But my liver and I don’t really want to contemplate that question. A: I’m an aspiring brewer, so I’m constantly brewing at home and always have way more of my own beers than I can drink myself (plenty of help from my mates though). So I actually drink a lot of my own brews and save my pennies to buy new or limited releases. 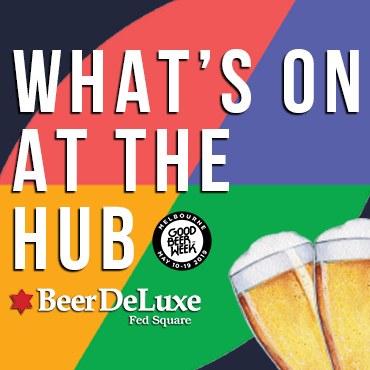 Unfortunately we don’t get access to as many different beers in Hobart but it’s constantly getting better, with heaps of new craft bars and bottleshops popping up all the time. J: Not sure I can answer this one, or want to. Loose calculations in my head would indicate a fair bit. Best to not think about that one too much. What is your dream beer? Feel free to go into as much detail – ABV, IBU, ingredients, etc – as you like. J: I really love IPAs, so the freshest, biggest, dankest, hopped out IPA would come close the my dream beer. An insanely tart and salty gose would be amazing too. A: My favourite beers are probably hoppy amber ales or imperial stouts, so I guess my dream beer would be an amazing take on one of those styles. Garage Project have an Amber Ale called Pan Pacific, which is inspired by the ANZAC biscuit, brewed with golden syrup, golden naked oats, toasted coconut, Motueka and Galaxy hops… That has to be pretty close to a dream beer for me. Thanks, chaps. If you don't already, you should follow them on Instagram and check out their blog too for their long form pieces. You can check out previous Beer Nuts here.